Directions: Hwy 85 to Aplin Rd. East on Aplin Rd to just before Acorn Dr. House will be on the left. Remarks: Great location close to schools, just around the corner from Shoal River and Riverside, close to everything in town. Centrally located near shopping, dining, the hospital and many of the Crestview amenities. 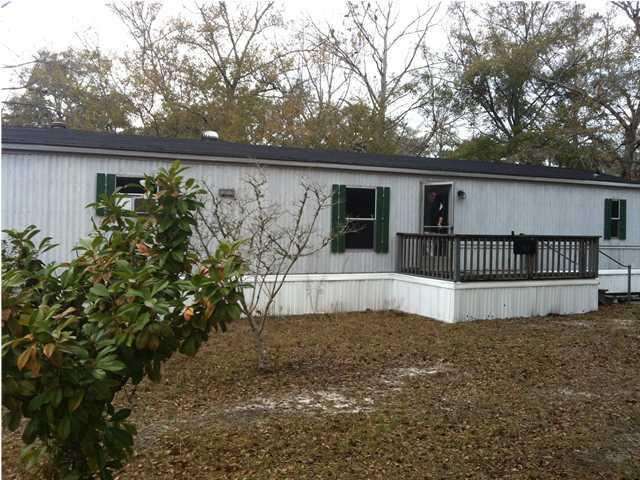 This 1783 sq ft home has plenty of room with a recently added Florida room on the back of the home. The interior includes real hardwood floors in the bedrooms and in the large front room area where you will enjoy the fireplace and unique window designs of the front foyer with a touch of mid-century modern. Check out the Retro tiled bathrooms. This nice level lot is approx. 3.68 acres that includes blueberries, crab apple, pecans and pears. A/C was recently updated as was the metal roof. New dishwasher. Detached garage includes storage shelving. Call to take a look today. Directions: Traveling East on 30A turn right onto Lakewood Continue straight thru stop sign to the next stop sign. Take a right onto Beachfront Trail. Beachfront II will be the big blue building on your left. Remarks: YOU CAN’T BEAT THIS PRICE SOUTH OF 30A! 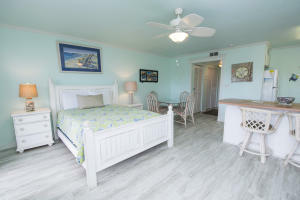 This lovely STUDIO CONDO grossed over $16K this year & is located less than 200 yards to the beach, and ideally situated between Watersound and Seagrove Beach near Deer Lake State Park. This fabulous rental has been recently updated with new floors, fresh paint, & new furnishings! Sit on your private covered deck and enjoy the Gulf view, with nothing between you and the water! The Beachfront II community has great views, a large well maintained lawn, heated pool, BBQ & grilling area, elevator & covered parking in addition to the new renovations including new A/C duct work throughout the complex and new walkways! Look no further for your perfect beach rental on the sought after south side of 30A. Legal Description: Metes and Bounds. Remarks: Real Estate Owned REO. Sits on 5.34 acres of select cleared land, fenced and cross fenced for your favorite horses. Dishwasher, micro hood combo, black counter tops, white cabinets, a work island and pantry, wonderful windows and lighting and ceiling fans. A very important upgrade is the 13×35 back porch, built on a single wide frame with a metal roof and lots of large screen windows. This new addition adds over 400 SQ ft of metal roof outdoor living space.”Offers responded to within 24 to 48 hours.” Don’t let this one pass you by. Directions: Beal Pkwy. North left on Carmel, right on Hart then right on Vickie Leigh. Go almost to the end and Tray is the last road on the left. Turn in and home is on the right. Remarks: REO hard to find end unit 1 story Townhome, tile bathrooms, Tiled foyer living dining area with a bright kitchen. Well maintained neighborhood on a quiet dead end street so no thru traffic. All vinyl siding with a small backyard. A 2-car garage! 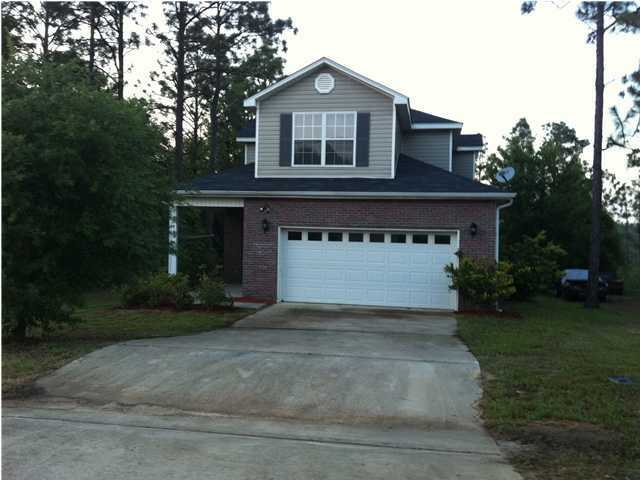 Great location in central FWB area. This unit is ideal as a rental property or to be owner-occupied. Directions: From Hwy 85, go east on John King Road. Continue east for approximately one mile, then turn left (northeast) onto W Old Mill Way. At the T intersection, turn left (north) onto Mill Pond Cv. Property is on your right. Remarks: REO This is a all brick and vinyl trim house for low maintenance.Double wide drive way, house set back with a big front yard. Concrete back patio. Tiled kitchen and bathrooms in this 3 bed 2 bath, tiled utility room just off the kitchen leading to the garage. Near schools, shopping and 2 miles to the beach. Great location. This property is priced to sell and would make a wonderful home!!! Dir: From Hwy 331 in DeFuniak turn west on Bob Sikes road. Proceed about 3 miles home will be on the left where Woodyard road intersects with Bob Sikes before you reach the interstate. Home, acreage and a great price! What else can you ask for? 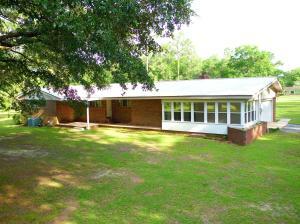 This home is situated on 4 beautiful acres with highway frontage only 2-3 miles from the Highway 331 on the Bob Sikes Rd.Included in the sale are some yard buildings and some of the property is fenced. 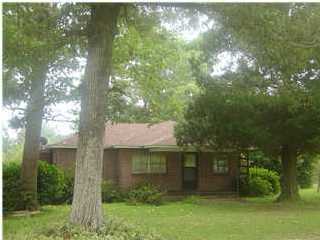 Dir: DIRECTLY BEHIND FREEPORT MEDICAL CLINIC, OFF HWY 20 ON 101 NORTH JACKSON STREET. Court ordered sale. Three bedroom, two bath home with large utility room and large front porch on 1.25 acres, on paved street. Price includes 10′ X 20′ workshop. This property also features a 220′ Well with a 6′ X 8′ pump house. The home is on city water and sewer. EXCELLENT STARTER OR RETIREMENT HOME.